As a child, I had the typical conception that a child has of God. It was always somewhat vague but corresponded more or less to some male human-like entity that resided in Heaven, wherever that was, who protected me and loved me as long as I obeyed him. This God was peculiar to people of my religion which at the time was Southern Baptist, mainly because a Southern Baptist church was about a block away from my home. As I grew older I began to read various Eastern philosophies and began to think of God as the primary creative force in the universe and a central concept that lay at the core of all religions. Older still I entered a period of skepticism not much different from that of Richard Dawkins in the God Delusion (1). In this period, God became at best an unnecessary hypothesis that added nothing to our understanding of the world which we could best comprehend through science. Older still I became more confused. I couldn’t believe in the God of most religions and certainly didn’t want to toss aside science, yet I still felt there was something more to the world than science by itself could explain. Depending upon the discussion I might call this something God or simply ignorance, but the something was there. 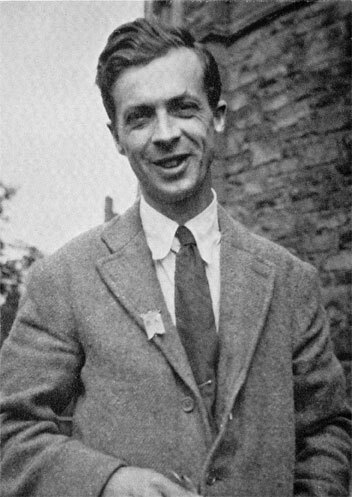 Sometime during this period of confusion (that continues even somewhat until today), I discovered Julian Huxley and evolutionary humanism. Huxley was a remarkable man. He was the brother of Aldous Huxley and the grand-son of Thomas Huxley, one of the great supporters of Darwin and Darwinism. Julian Huxley himself made significant contributions to our modern understanding of evolution from the Darwinian perspective. n 1957 Huxley originated the term “transhumanism” to describe the view that man should better himself through science and technology. He also created the terms “ethnic group”, “morph”, and “ritualization”. Huxley also was a believer in eugenics though not the extreme forms practiced by the Nazis. He believed in the genetic inferiority of the lower classes and that the human race should be improved through genetic manipulation. While disagreeing with Huxley’s views on eugenics, I want to discuss some of his writings that go directly to the core of conflict between religion and science. Huxley believed religion still had a role in play in human life and human destiny but it would need to be a different kind of religion – a religion not based on God but on science and evolution. When discussion of evolution and religion arises, typically it is in the context of opposing explanations for how life and humans came to exist. Either God created us or evolution did In this argument, the proponents of the God explanation often have a view of God barely more sophisticated than that I had as a child. A more sophisticated religious view might have it that we are the products of evolution but that God designed the process of evolution and might occasionally intervene in it in some way. The evolutionists deny any role for God. Religion is centrally concerned with explaining the world and our future in it while preserving a sense of divinity and awe about it. It should not necessarily be in conflict with science. The earliest expression of religion can probably be found in animism. E. B. Tylor in one of the classic works of early anthropology Primitive Culture (3) defined animism as “a doctrine of souls and spiritual beings”. Souls were present not only in humans but in other living beings as well as places and physical objects. Tylor believed this belief arose from actual observation of life and death. When a living being dies, something clearly changes in the organism. The simplest and most straightforward explanation for the change, without the benefit of several centuries of science, is that whatever animated the organism departed from it. The explanation serves, in addition, the role of providing comfort to grieving loved ones that something of dead individual persists. Animism is the prevailing belief system in hunter gatherer groups and small tribal cultures but extensive remnants of it continue today in other religions. Animism is directly linked to the human understanding of mortality. Its explanation for death allows for a continuance of life on another sphere. It says we do not die, we change form. Ancestor worship follows directly from animism with the dead inhabiting a spirit world coexistent with our world, sometimes watching over and protecting those of this world, and sometimes being reborn in other organisms. If your ancestors continue to live after they die, then the ancestors of your ancestors must also still be alive. Continue to trace the path back in time and your original ancestors, the founders of your culture, must also still be alive in the spirit world. What’s more the original ancestors, since they had to come from somewhere, must descendents of gods or spirits or product of the union of gods with humans. In totemism, we have the original ancestor of the clan descended from an animal or plant spirit. Although we should never minimize the differences between cultures and the historical contexts of religious beliefs, logically we can derive religious belief from its beginnings in animism. We can also see a rough correspondence between the size and type of society and the form of its religious system. In small hunting gathering societies we find predominately animism. In slightly larger tribal societies, we find ancestor worship more predominate. In larger agricultural societies, we begin to have a sharper division of labor with the evolution of priest class. At this point, we begin to find in the belief systems true gods and goddesses, often associated with motions of the stars, the planets, the seasons, and astrology. With the development of larger agricultural societies, we begin to see the construction of large monumental structures. The structures often served the function of linking ritual to the heavens and reenforced the authority of ruler and his ruling class. The single gods of monotheism began mostly as tribal gods of agricultural and herding societies in the Middle East. Yahweh originally was one God among many with consorts and associated goddesses. Later as the one who delivered the Israelis from Egypt, Yahweh plays the role of other founder gods becoming the exclusive God of the Israeli people. In actual practice even today, we still find animistic beliefs and multiple gods and goddesses, often hidden in various guises, in most religions, Christianity soon adopted a notion of trinity dividing the one God into three parts and created a pantheon of saints and angels. Christianity where it met other cultures often morphed into a hybrid with the cultures where saints became venerated and celebrated on the same days as the native non-Christian gods and goddess. All traditional religions observe death rituals and believe in some form of continuance of the human spirit. Throughout this, the science of the time and the religious sentiment of the time were congruent. I use the term “science” here in a very loose sense to mean the prevailing knowledge of how things worked and how things came to be at the time. The Neolithic hunter gatherer understood the world was inhabited and moved by spirits. The ancient Egyptians and Mayans thought the stars ruled human destiny. From animism to gods and goddesses to God, the world of the spirit was directly connected to the natural world and explained the mysterious parts of the natural world. It explained why things are alive and what happens when they die. It explained why the winds blow and the seasons come. It provided order and purpose for this life. Early science continued this trend even as it began to loosen the connection between this world and God. Much of early modern science devoted itself to understanding the laws of this world that were believed to originated from God. Science was done to God’s glory. Newton believed that God created the laws of the universe and set it in motion. However, the role for God as an active participant in this world gradually became less and less as science achieved greater and greater success in explaining the natural world. Soon God became relegated to the role of the Original Mover, the Designer, the One who set everything in motion, the Creator of the clockwork-like workings of the natural world. It is a small step from this to dropping the idea of God completely. The congruence between the world of the spirit and science is broken in modern times. Although there are some scientists who profess a religious faith, they mostly do so not because of science but in spite of it. A few “mavericks” (notice the quotes) try to argue with the science and find some special niche for God in science where it seems there is no room to squeeze Him in. A few, mostly physicists, find in the profound mathematical order of the universe something like a “God” but there is no way of connecting that “God” to any historical religious traditions. Beyond that, science and scientists are mostly atheistic. Any connection to religion is broken. The question must be asked whether there is really any need for the connection to be restored? Do we need religion at all whether it be a religion with or without God? Huxley’s answers “yes” to this. “Religion in some form is a universal function of man in society, the organ for dealing with the problems of destiny, the destiny of individual men and women, of societies and nations, and of the human species as a whole.”(4) The problem is that the explanations and understandings of the old religions are no longer viable. They have lost their explanatory value. We still need religion to preserve our connection to divinity. Divinity, as Huxley defines it, is “not truly supernatural but transnatural – it grows out of ordinary nature but transcends it”. (5) Huxley’s proposal is for a new religion that strips out God but still enables us to connect to the world on a spiritual level. Huxley never managed to explain what form exactly this new religion would take. Religion as we know it consists of more than a set of beliefs and moral teachings. It involves assemblies of believers, rituals, and mutual assistance. It is difficult to imagine a Sunday service with a scientist explaining DNA or reading from Darwin to the congregation, although a marriage or funeral might be more imaginable. With most contemporary science, the chasm between scientific knowledge and the divine is unbridgeable. The mathematical equations of the Big Bang provide no spiritual solace. A core focus of this new religion necessarily becomes the expansion, enhancement, and modification of consciousness. Its technology is the technology of the shaman and modern-day neuroscience. New rituals built from old rituals. New beliefs from old beliefs. Religion back in touch with science while retaining divinity. Could an actual religion of this sort come about? In the past century, several religions have arisen in Brazil centered around the ritual and communal use of ayahuasca. Although these religions are based on Christianity with virtually no scientific elements, they certainly demonstrate that organized religions can be built around the ritual modification of consciousness. Various New Age groups have adopted an eclectic approach to experimentation with consciousness using both chemical and non-chemical means. For the most part, these groups have not been able to organize into religions for legal reasons or have not desired to do so. Typically these groups also have a rather diverse set of ideologies that are often at odds with science. If Huxley is right that we need the divine even as we need science, eventually something must break through the impasse between science and religion. Whether it be called a religion, science, or something else may be irrelevant to the fact that it will happen. 1-Dawkins, Richard. The God Delusion. First Mariner Books, 2006. 2-Huxley, Julian. Evolutionary Humanism. Prometheus Books, 1992. 3-Tylor, E. B. Primitive Culture, 1871. 7- Barrow, Tipler, and Wheeler. The Anthropic Cosmological Principle, Oxford University Press, 1986. 8-See the Emperor’s New Mind by Roger Penrose. 9-Lloyd, Seth. Programming the Universe. Alfred Knopf. 2006. 10-Lanza, Robert. Biocentrism, Benbella Books, 2009. 11-Lloyd, Op Cit p. 200. This entry was posted in Consciousness, Futurism, Human Evolution, Transhumanism. Bookmark the permalink. We seem to be tackling similar questions; though we are coming to quite different conclusions. You really should check out E.O. Wilson’s “The Social Conquest of Earth”, there, he makes almost the exact same argument as you: that we need a scientifically informed form of religion to bridge the gap between the two. For me, the problem with this sort of argument is that it makes science far too imperialistic- to use a loaded phrase. Science and religion deal with problems or questions that are of fundamentally different orders. Religion, despite being the progenitor of science can’t compete with modern science in its ability to answer cosmological questions- including the origin and evolution of life- but science really can’t compete with religion- OR PHILOSOPHY- in giving individuals guidance as to how to live their lives or structure their societies. Wilson’s failure to delineate these two domains leads him to make all sorts of wild assumptions and jettison thousands of years of ethical, philosophical and religious thought as to what it means to be human. (Please give me your critical feedback on my upcoming post on this book). I can illustrate what I mean by a simple, and non-religious example. Science can tell me something about the biology of fatherhood, or the neuro-chemistry of parent child bonding etc, But it doesn’t have all that much to say on what IT MEANS to be a father i.e. what the experience of fatherhood is like. Even less does it tell me what a good father is. For these questions I have my own experience, the experience of others, and a long tradition of reflection on fatherhood that we find in religion, literature, philosophy etc. Giving good answers to the question of what it means to be a good father needs no scientific understanding at all- just reflection on what one is actually experiencing or that others in like circumstances have experienced. If it is indeed the case that religion will have to take on the characteristics of animism- which for me would entail simplifying religion to the point where we lost its deep historical legacy- in order to make it compatible with the discoveries of modern science, then, I think, we would be better off leaving the gulf between science and religion unbridged. Thanks for your insightful comments. We definitely are in overlapping areas. Science and religion in our current era do have different domains but will it remain so for the next 200, 500, or a thousand years? Without explanatory power, religion loses its ability to provide guidance on how to live. It has no authority from which to speak. In most educated Western countries, religion is on the decline. I don’t see the trend reversing when we look at the big picture. Without a new foundation, eventually we will have no context to connect with the divine. It has always been that values and meaning must be created by us as humans. This was so even when we thought they came from God. No knowledge or explanation of the world provides meaning by itself. Huxley would say, however, that science from the evolutionary humanism standpoint does suggest certain values: the values of life, understanding, awareness, higher consciousness, and striving for improvement. For him these values flow directly from a scientific understanding of evolution. I’ve been exploring animism a while now, while all you say about souls & god coming out of animism is certainly true enough, for me the “new animism” you allude to has less to do with the naivety of belief than it does the innocence of perception, in other words the essence of animism is an experience of pre-categorical “livingness” – this grounding in consciousness you refer to finds its basis in phenomenology for me: Merleau-Ponty’s “Flesh” is precisely Huxley’s “World-stuff” of which Reality consists. “The first vertebrates had a primitive hollow nerve chord, the anterior end of which developed in fishes to form the brain; the fishes breath through gills whereas the next higher class, the amphibians, transfer breathing inside the body to the lungs, while still depending on moisture from the environment; the reptiles come next becoming free of this particular dependence by developing a closed fluid system while still remaining dependent on the environment for warmth; the birds become free of this by developing an independent warmth system to regulate their body temperature; then come the placental mammals wherein the development of offspring now takes place inside the mother as opposed to developing externally in the environment. This sequence discloses an increasing degree of independence from the environment by the progressive internalisation of the different life functions. Schad feels it important to note that this sequence begins in the nervous system with the brain and proceeds from the head down. Even the placental mammals are bound to their environment via their limb system (moles = shovel-like claws, horses = hooves, seals = flippers, apes = hanging arms, etc.). Emancipation from this dependency is the step taken by man. What emerges at the end of this sequence (us) is the organism which is the least specialised biologically, i.e., the least adapted to, and thus dependent on, a specific environment. Indeed it is this that puts humans in a class of their own biologically. That human beings are unspecialised can be seen by looking at the human hand which is not adapted to any particular purpose and thus not limited to one particular function. Any tool can be used and put back down, in contrast we could say the other mammals are tied to the tools which their limbs have become. Note that the arms & hands take no part in the movement of the body, which is undertaken entirely by the lower limbs. What is particularly interesting is that this specialisation is not an environmental adaptation but one which grows out of the organism itself. In the other mammals specialisation takes place in that part of the limb nearest to the surroundings (as in a horse’s hoof) whereas the upper part of the limb, furthest from the surroundings, is unspecialised. The opposite happens in humans, we have unspecialised feet but our upper leg (the femur) is greatly developed compared to other animals. It is by this means that we can stand erect – the important point being that this uprightness can be recognised as an expression of the organism itself and not an external adaptation. Not being externally adapted to the environment human beings are free to walk where they choose, thus our habitat covers the Earth. “Progressive emancipation” is thus a “higher fact” of evolution which, in the words of John Davy, “has not yet been granted any fundamental evolutionary significance”. One reason for this could be that Darwin’s mechanism seems to lead in the opposite direction: random variation coupled with natural selection should lead to an increased dependence of the organism on its environment. But the organism to emerge last in the process, the human being, is the least specialised of all. Great food for thought eh? Anyway, I’ve probably rather rambled as I’m still trying to bring various threads together in this curly-head of mine, but hopefully I’ve managed to transfer a little of the inspiring enthusiasm I feel for these ways of thinking. I run a blog too, here: http://www.fleshprism.com – although I’m more of a mad-artist than a sane-scientist I’m with you on the need to weed out the fluff if progressive ideas of what it means to be human are ever to be freed from new-ageisms and religion & science are ever to become high art. I am not sure I am following your entire argument. I may need to reread it a few times. It is clear that religion needs something more than dryness of science. It must be about more than simply explanation. This is something I don’t think Huxley ever really addressed. This may be what you are referring to as the innocence of perception or that sense of aliveness in things. Much of current science tries to convert everything, even the living, to dead matter. What we need to be doing is the opposite – converting dead matter into something alive. With an increasing understanding of consciousness, I believe this may possible without forsaking the explanatory power of science. By the way, I love your website and your artwork. Maybe it’s not so much the explanatory power of science that needs preserving as does its investigatory power? Maybe what you’re talking about with this meeting of science & religion is moving past explanatory powers to give science revelatory powers! (by this I mean to point to a contrast between the idea of explanation as being “something conveyed in other terms” and revelation as being “something unveiling itself”). I understand explanation as being mostly about imposing our own terms on phenomena – this is certainly a necessary part of understanding anything, but only a part. We perceive an aspect but needn’t stop there, and shouldn’t take this partial perception to necessarily be the central (or “most important”) truth – explanation feels like it works very well with measurable quantities & mechanical operations but I’m not sure you can completely explain livingness or living things: they have to be participated with, entered into relationship with, and so science would need a much more nuanced view of so-called objectivity in order to proceed further… I think the idea of expression is much more suited to approaching livingness – things express themselves in multitude ways that we can learn to be open to, and experiment with, and learn to read – so we shift to a more respectful attitude to otherness, we acknowledge the partnership we have with the phenomena we study… it’s like at the moment we keep asking the same limited range of questions, or rather we ask all sorts of questions but only preceive the answers that flit through our conceptual spectrum, anything outside remains invisible… I guess our minds are similar to eyes in that sense, they’ve evolved to deal with only that range of phenomena that is most necessary to concentrate on for (survival’s sake(?)) but our minds are made of something more evolutionarily elastic, there’s equipment for forays beyond conceptual limitation but we have to leave certain concepts, or even all concepts, behind – actually I feel its more like staying right where we are but gathering the ability to be able to “see through” (transcending but including “seeing with”) the limits that make us what we are… seeing through in order to see …more? Oops, rambling! In my previous post to this, I look upon the search for explanation as an analogue to metabolism. Just as an organism consumes energy from its environment in the form of food, the search for explanation is also a form of consumption of the environment. This consumption by consciousness of the environment probably serves not only the purpose of facilitating biological metabolism (i.e. by understanding we get more to eat) but may serve a more profound function relating to entropy and the ultimate fate of everything. We often fail to see science in its full historical context. What we call science today is actually a method and world-view with only a few hundred years of history. Scientists are tempted to think it will always work the way it does today and only produce more and more knowledge and understanding using its current methods. A few hundred years from now we may look back upon the science of today and regard it in much in the same way we think of superstition today. Hi James. I haven’t time at the moment to leave much in the way of my personal thoughts but I felt obliged to leave a brief note of thanks. I’m thoroughly enjoying reading through your work here and I wholeheartedly agree with the principals behind what I’ve read so far. So… yeah… a big thank you!